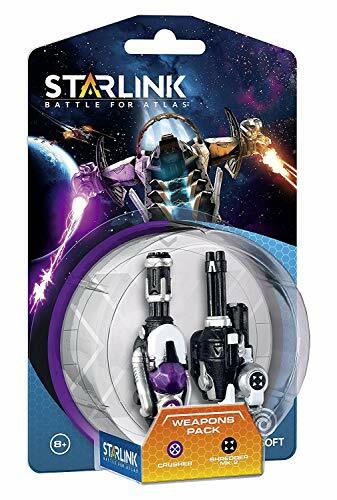 Starlink: Battle For Atlas is one of the latest games from Ubisoft for the Nintendo Switch and enters the Toys to Life space similar to Disney Infinity and Skylanders. 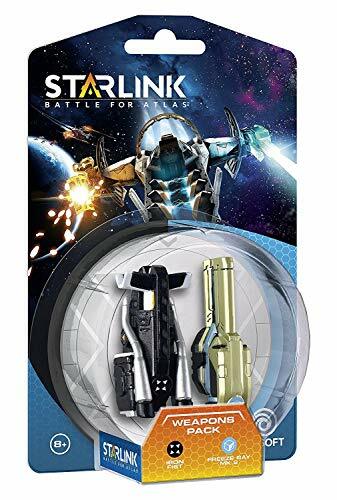 Unlike the previously mentioned brands, Starlink aims for a more older audience while making it still quite accessible to the younger market. You can play the game with or without the toys but Ubisoft has made sure that the figures are a key part of the game and to enhance how you play. It’s more than just a solid little figure that reads a chip, the overall concept is cool and fun to use. The story starts with a quite standard with a new fresh-faced space candidate locked into battle with some aliens. Not shy away from throwing you into the action the story in the start takes a bit of a backstep to get you used to the mechanics of the game, battling and selecting your weapons. For space battle, Ubisoft has done really well at creating a smooth 360 degree battles without making you feel a little sick. Moreover, it is just fun to play, from the tutorial to when you end up on the ground of the first planet after the Aliens win and send your ship crashing down, battling the various enemies is an enjoyable experience. Partly this is down to some good thinking on how you combine your weapons depending on which enemies you are fighting. Some enemies are weak to fire, while others are weak to ice. On the planet you’ll be able to experience more RPG elements like collecting resources, exploring the plants surface and researching the local wildlife. With a hint of No Man’s Sky, the plant life and wildlife on each planet is vibrant and diverse while being a little wacky. Starlink does a good job of making it believable that you could be on another planet as things are not always you’d expect. While exploring you can come across enemies such as the Legion’s enemies, the ground combat is a nice difference to space combat as your ability to get up close and personal with enemies but also barrel roll and dodge enemy attacks. Boss fights are longer battles and usually centred around defeating an enemy and destroying cores and other tactics to take them down. While some storyline missions tell you more about the enemy and the mysterious race the Wardens, mostly Starlink lets you explore each planet to your own accord. In the beginning, you’ll be shunted between worlds using your Hyperdrive to get there a little more quickly but after really you are free to explore. 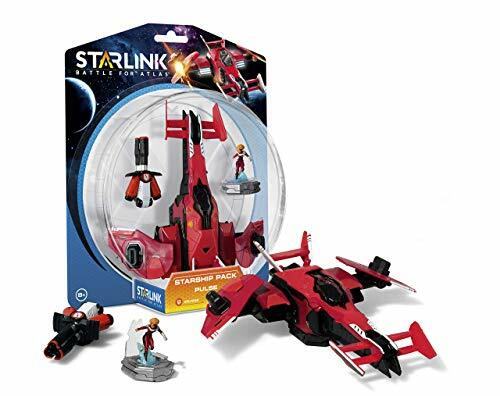 There’s actually a lot more in Starlink you can do than you first realise. When the game first began and you get some of the setup missions out of the way, you can be occupied for a while outside the story. Researching animals, freeing settlements, searching for caches, taking out enemy camps or completing side quests. All this additional content is great exploring the various worlds as it’s downright beautiful. Each world is completely different from one another and the ecosystem of each works a little differently. It’s quite fun to just be able to uncover all the planets and see what they each hold in items, mods and other stuff you can search out. Of course, it is these mods and the modular ship system combined with the Nintendo Switch that is the main draw. You start off with a couple of basic ships and different weapon attachmentstobut you can mix and match weapon types with different elemental attributes to make some devastating combos. Increasing your arsenal is the main aim of the game which you can do by unlocking new parts in the game. Ships can also be unlocked and each one has their own strengths and weaknesses when it comes to the main stats like speed, defence and damage. On top of this, each pilot you have sitting in the ship is able to call upon a special attack which you can use in battle, for example, Mason is able to call an orbital strike which is able to take out a number of foes all in one go. Combining all these elements together there is a lot of personalisation to be had when it comes to building some ships you can truly take to town on the Wardens and other enemies in the game. With the mods on top that you can attach to ships and weapons plus additional in-game paid bonuses (no microtransactions), you can tinker with ships for a while to find your own unique combination. Toys-to-life is a hard market to crack with the likes of recent competitors struggling to make a dent in the market. 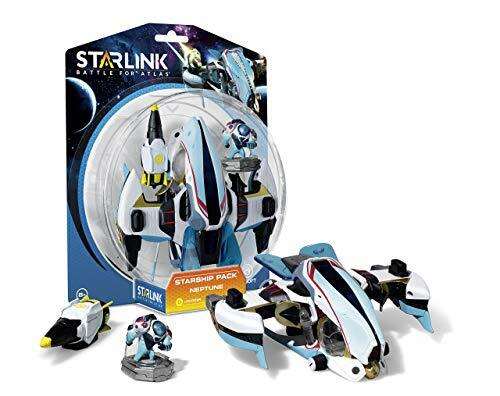 Starlink, however, seems to have thought about it in more depth as each ship has a great level of detail where some have moving parts and light up elements which add a nice touch. Weapons have a snap action element to them being able to easily take them from one ship combination to another in a matter of seconds. The build quality is also exceptional, as parts fit snuggly together but without that usual cheap plastic creaking or bending. Pilots are also included as small additional parts and although they don’t move they are still again well made and add a little more character to each ship build. What probably adds the cherry on top is the price-point, usually, these items are static tobeing more of a figure and overpriced. Ubisoft has opted to try and make the barrier to entry lower by pricing them at £24.99 RRP which makes it much more approachable when you want to collect each ship and use them swap and change the parts. 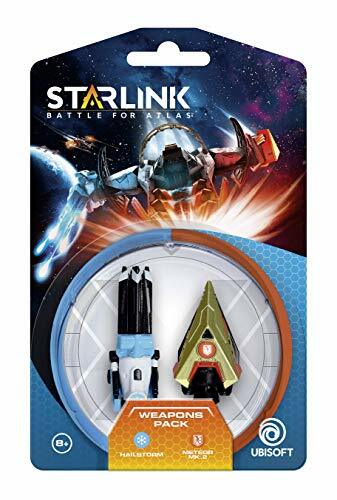 Of course, the toys-to-life market is going to be a tough one to break either way as ships are also available in-game depending on the edition you buy or the additional ones you purchase to unlock. One downside is the disconnect between the physical ships and the digital editions as you can not mix and match. If you have purchased some digital weaponry but want to combine it with a physical weapon the game won’t let you. If you do have the real-life toys though the game will let you use the virtual versions for some time even without the ship connected. For a game which is centred around mix and matching this is a shame as it will limit players to going down the toy route or the digital route. There’s also a further complication with the toys as they combinations don’t save to the ship but rather than your save file. If you designed quite a nice ship, upgrade it and take it to a friend’s place their game will read it as the basic version of that ship. Different platforms also have a difference in offering when it comes to the ships and items. 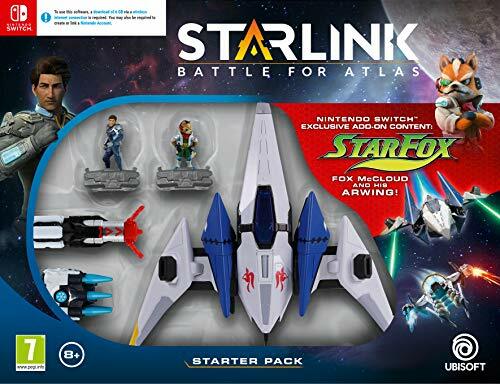 For the Switch version that we reviewed, it comes with the Starfox characters and the iconic Arwing but the PlayStation and Xbox One version does not. Considering that the Starfox cast is quite meticulously woven into the narrative of the game it does shift purchasing it to the Switch above the other platforms. Xbox and PlayStation though do have more power for the game over the Switch so undoubtedly it does look crisper on those over the Switch. There’s no real problems or standout difference though as the game still looks really good on Nintendo Switch but it probably is pushing the console’s hardware quite a bit. 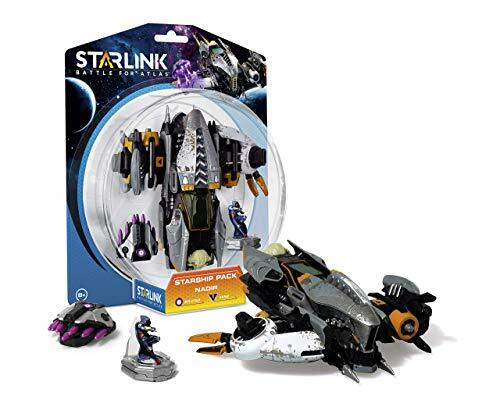 Overall though no matter which version of the game you buy, the ships you purchase both digitally and physically Starlink: Battle for Atlas is a beautifully crafted space game. It’s aimed at an older audience which will drive move gamers to pick up the Switch while also catering for the younger audience at the same time. The toy-to-life aspect of the game is enjoyable but does have a disconnect from the virtual version of the game, which will divide the game base. You will be able to get a version of the ship you want in either scenario but with the game being able to give you digital versions easier and they don’t run out of stock some might lean towards the easier option but will miss out on the building fun that game brings. In the end, though, the game is fun to play regardless of the set-up you choose. If you can I’d opt for the toys-to-life version over the digital as you get the best of both worlds but does mean you have to go out and find the ships you want. With the internet and Amazon, I’m sure you won’t have much of an issue. A solid entrance into the toys-to-life market that entertains both the older and younger audiences with a beautifully crafted universe and well-built toys.